The Phoenix Suns have been in the cellar of the Western Conference for eight years. They’ve had a sub .300 win percentage in each of the last three seasons. But for the first time since Steve Nash was in Phoenix winning MVP awards, the future looks bright. Despite having had talented scorers like Devin Booker and T.J. Warren around for three years, the Suns haven’t been able to put near enough talent around them to be competitive in the (far superior) West. I believe good fortunes are coming their way though, and the Suns will look back at the 2018 draft as the turning point. After trading Zhaire Smith and a 2019 first rounder for Mikal Bridges, the Suns essentially got two top 10 picks this year. 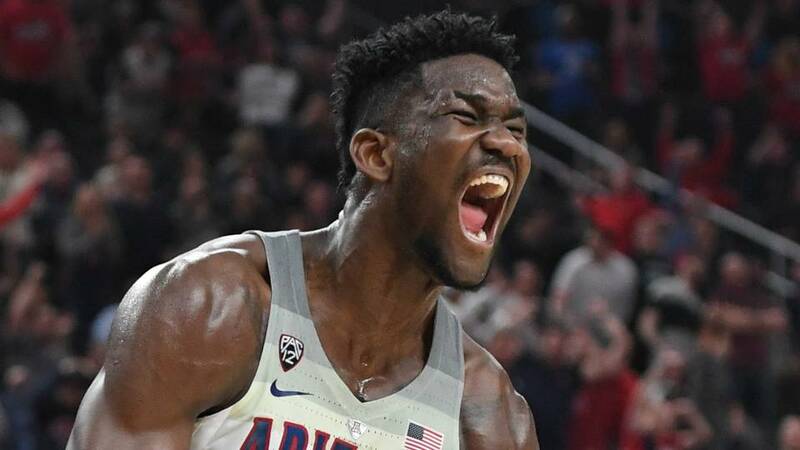 With their first pick, first overall, they selected Deandre Ayton, center out of Arizona. Ayton was the best offensive big man in the draft and despite his defensive flaws, will be a huge upgrade over 35-year-old Tyson Chandler and 2013 draft bust Alex Len. Ayton can beat you in a multitude of ways; he can overpower defenders with his 7’’1 260 pound frame, he can spot up and hit a mid-range jumper or even a three, or he can finesse his way to the rim with his post game and outstanding footwork. He can score from anywhere. There isn’t much missing from his offensive arsenal, and that should only continue to develop. He’s a bit of a liability on defense and that will need to be addressed, but he has the potential to be a top five center in the league. Bridges is another great addition. The Suns were severely lacking defense as they were dead last in the league in defensive efficiency. Bridges will contribute on that side of the ball right away. At Villanova he showed a high level defensive IQ both in man defense and team defense. He’s got the length, speed and athleticism to guard most NBA wings, and has the smarts to breakup pick-and-rolls, anticipate passes, and switch assignments when called for. His offensive skills aren’t lacking too much either. In his junior and final season he took a huge leap forward offensively and averaged 17.7 points per game while shooting at a 51.4 percent clip and 43.5 percent from beyond the arc. The Suns have sufficient wing talent currently on the roster, but Bridges could make a big impact off the bench even as a rookie, and could be a core contributor a few years from now. Devin Booker and T.J. Warren are underrated. They’ve been playing on a horrible Suns team their whole careers, so they don’t get the credit they deserve as scorers, because they haven’t been able to make their team better. They both averaged career highs in points last year and both shot above 43 percent. If Ayton can become the anchor of this team, less responsibility will fall on these two scorers, and they won’t have to chuck up shots playing from behind. Neither of them are good enough as facilitators to lead a team, but if the ball is fed primarily through Ayton and defenses need to focus on that, they could become very dangerous. They also missed a combined 45 games last season, and will need to stay healthy for the Suns to develop as a team. Josh Jackson, the third small forward I’m mentioning, played well enough last season to earn All Rookie second team honors. The fourth overall pick out of Kansas averaged 13.1 points, 4.6 rebounds, and 1.5 assists in 25.4 minutes per game. He’s another young, developing talent that will help make this team more competitive. 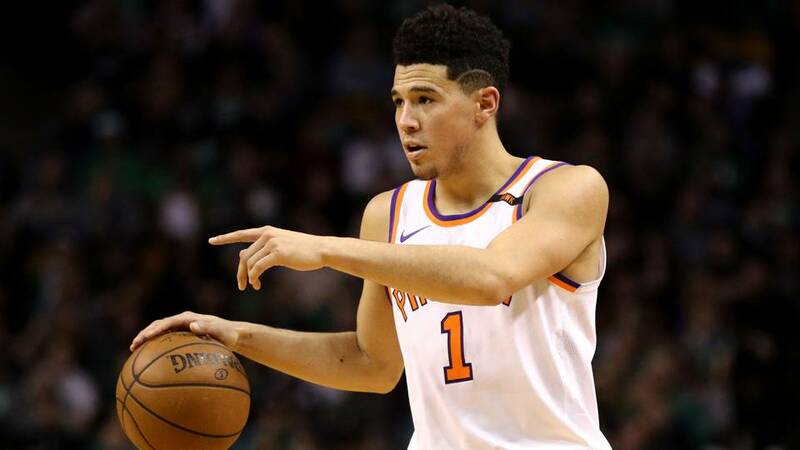 The scoring is there, the wing players are there, and the dominant center is now in place, but the Suns still need a reliable point guard to be a threatening team. After a disgruntled Eric Bledsoe left Phoenix (after only playing in three games), the Suns went and got Elfrid Payton from the Orlando Magic. He was a reliable, serviceable point guard but he just signed a one year deal with the New Orleans Pelicans, and now the best point guard on the roster is Isaiah Canaan. The Suns will need a true floor general and facilitator to maximize all the talent they’ll have on the court. It may not be this season, but the Suns will be a playoff team in the next few years. Their young players will need to develop and they’ll have to find a viable point guard, but they will follow in the footsteps of the Philadelphia 76ers and the Minnesota Timberwolves, who stockpiled young talent and developed it until it started paying dividends.